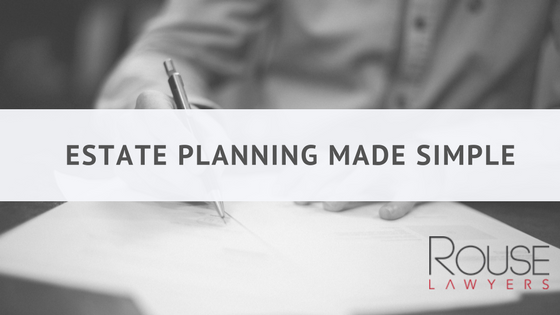 If you like to avoid conflict, stress and unnecessary expense – then the importance of a proper estate planning review and suite of documents, cannot be under-estimated. Benefit from your wealth [home, investments, superannuation, trust interests, inheritances, businesses etc] (as opposed to an unworthy beneficiary, ex-spouse, the Australian Taxation Office or Trustee in Bankruptcy)? If you are hospitalized tomorrow, on heavy medication needing a back operation, who will pay your rates, instruct your rental property managers, authorize payment of health insurance accounts to ensure your operation can go ahead or maintain business dealings/contracts? Who among your siblings/parents, spouse or close family friend will decide where you will live, if your pet can stay with you, or other personal care options (religious outings, clothing, accommodation, make-up/hair/shaving) etc? Are you concerned about the pressure your spouse/children will face from in-laws, step-relatives or business partners to liquidate assets that you intended to remain as a capital growth asset for long-term benefit of family? Do you wish to choose your response to Advanced Health Care queries or leave this to chance? Have you considered who will care for your minor children if you cannot – and how you can minimize disputes causing them greater distress at a time when they need it least? Can your former spouse to whom you pay spousal maintenance gain access to a portion of your estate? If you have not thought of, nor addressed, any of these questions, then the simple answer is that you do not have an adequate Estate Plan (and this is just a sample of the many issues a comprehensive adviser will discuss with you at a Lawyer qualified meeting). How can you maximize your efforts, minimize potential for family conflict and be a generous benefactor, with ease and simplicity? Let our Approachable Team draft a suite of documents to answer your Estate Planning Goals, and allow you to focus on building your wealth and family relationships. Tammy Parsons is a qualified, experienced Estate Planning lawyer. Contact Tammy for helpful advice about making a will. Need advice about estate planning or making a will? Contact the experts at Rouse Lawyers today.